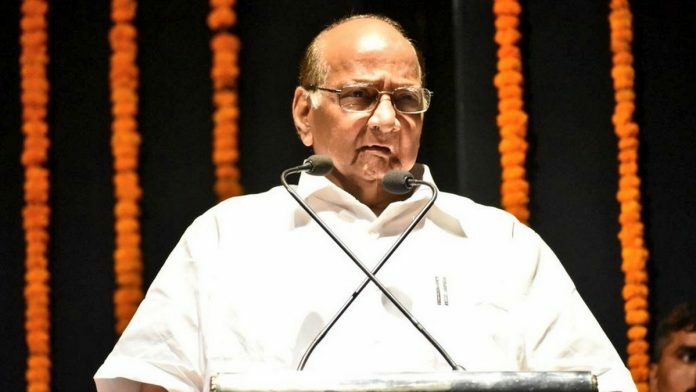 NCP chief Sharad Pawar meets Rahul Gandhi and AAP leader Sanjay Singh in mediation bid as top Congress leaders get Delhi district heads to back alliance. New Delhi: Talks have resumed for a possible Aam Aadmi Party (AAP)-Congress alliance ahead of the Lok Sabha elections in Delhi, with Nationalist Congress Party (NCP) chief Sharad Pawar mediating between the two parties. Pawar met Rahul Gandhi and senior Congress leader Mallikarjun Kharge at the Congress president’s residence Tuesday morning before holding a meeting with AAP leader Sanjay Singh at his official residence in New Delhi. Sources in the Congress said a discussion on an alliance with the AAP was discussed at Gandhi’s residence. Top Congress leaders are also working round-the-clock to cobble together the alliance in the national capital. The Congress has so far succeeded in persuading a majority of its Delhi unit district presidents to back the tie-up. The state unit had earlier been opposed to allying with AAP but by Monday evening, 13 of the party’s 14 district presidents in the capital wrote to Congress president Rahul Gandhi stating that they don’t have a problem in tying-up with the AAP to defeat the BJP. According to a senior Congress leader, these district presidents signed a letter and sent it to the Congress president authorising him to take the final call on the alliance while assenting to it. The stand is at odds with that held by Delhi Congress president Sheila Dikshit, who has time and again reiterated that the state unit is not in the favour of an alliance with AAP in Delhi. Senior Congress leaders such as P.C. Chacko and former union minister Ajay Maken, however, are said to be open to the idea to defeat the BJP. Dikshit had Monday written to Gandhi and UPA chairperson Sonia Gandhi urging them to provide clarity on a possible alliance to end confusion among the workers. Talks between the Congress and AAP have been on for a while. While they appeared to be floundering at one stage, they now look set for another round, with a feeling within the Congress that a tie-up could help beat the BJP. Gandhi had earlier this month held a meeting with the Delhi unit that was attended by Dikshit and senior leaders such as Haroon Yusuf. Dikshit had then announced that there would be no alliance with AAP. But soon after this, on Gandhi’s directions, thousands of Congress workers were sent audio messages through the party’s Shakti platform, which serves as a digital interface between the cadre and high command, seeking their opinion on an alliance with the AAP. The Congress has refused to share the feedback it has received but since then talks with AAP have resumed. The Congress, which held all of Delhi’s seven Lok Sabha seats in the 15th Lok Sabha, saw a massive reversal of fortunes in the national capital in the 2014 general elections, losing all the constituencies to the BJP.